I want to say thanks to the local Jewish community and Rabbi for inviting me and my wife to dinner. It was amazing to experience the friendliness and openness of the Jewish community. I was glad to learn more about the Jewish faith, learn about the tradition, and make new friends. This is a moment we will not forget. Thank you for your kindness and wonderful hospitality enjoyed during this Shabbat. Isaiah ch58 comes to mind: verses 6-14. G-d bless you and your family as you put these verses into practice. Thank you for touching so many lives in Jerusalem! Thanks so much for your warm hospitality whenever we come to Israel we always have a great time! Wishing you a happy healthy sweet new year! I am grateful to Rabbi Machlis and his guests for helping me to understand who I am as a Jew. WOW The Machlis Family inspired me from reading the book. 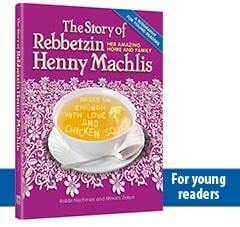 I hope one day b'eH .I will be zocheh to meet the Machlis Family. May HKBH grant you going l'chayil u'l'chayil ! I wish that my husband and I could have met Rebbetzin Machlis; though, while reading the new book,, I really feel as though I have. Just read the book about Henny Machlis. I am so inspired by her life. 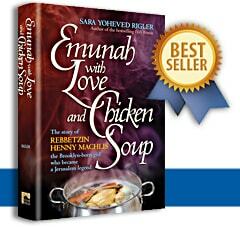 I wish her husband and children only simcha and brachas. Thank you to Mrs. Rigler for writing the book! While I unfortunately have never had the zechus to be in the machlis home, I was very inspired from reading the book about rebbeztin machlis. I had heard stories from friends before but I never could have imagined to what extent the chessed that the rebetzin did went! I was very inspired and I hope to take many of the lessons and implement them into my own life and bring them into my family. 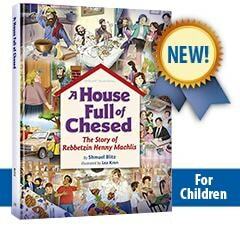 I hope that it will be a zechus for the rebetzin's neshama and for all of klal yisrael. May Hashem continue to bless you and your family and bring mashiach soon! Thank you so much for your kind hospitality and grace despite a difficult situation at the Shabbat meal on 22 October 2016. Your home opened to us on that day was such a blessing. Since returning home to Jersey (British Isles) our decree and prayer for you and your helpers has been that of Numbers 6:24-26.